NEW 2 Target Beauty Boxes $10 + $5 + FREE Shipping! 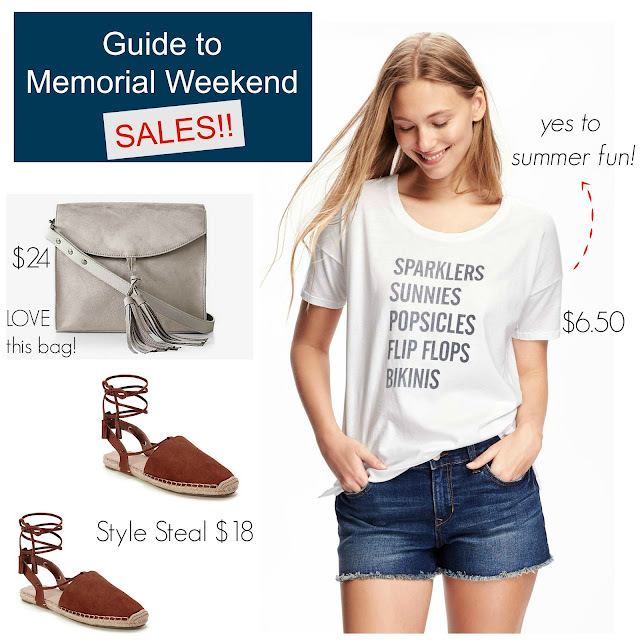 Your Guide to HUGE Memorial Weekend Sales!! 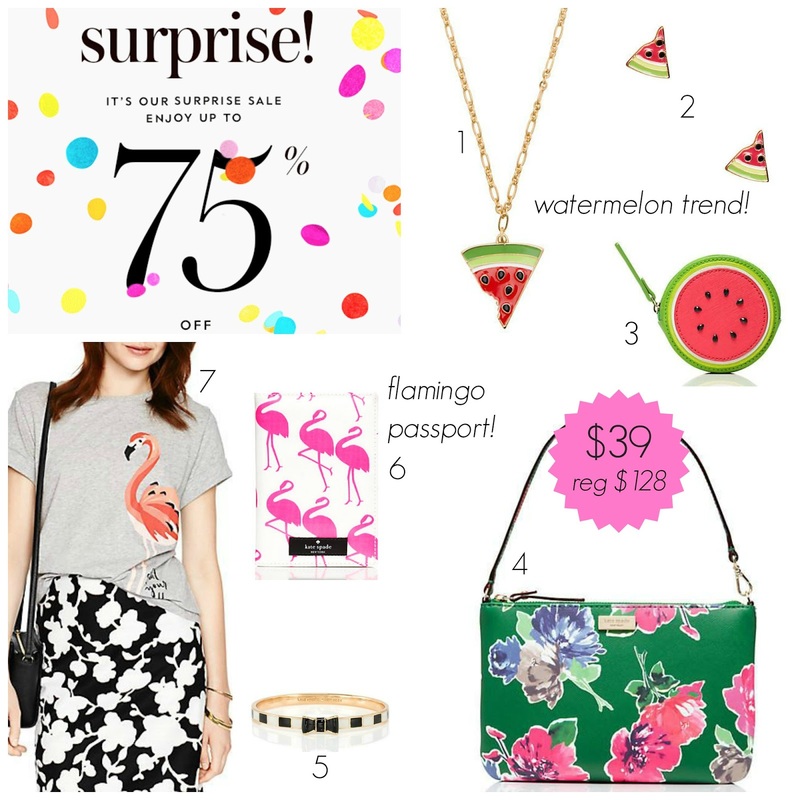 Kate Spade 'Surprise" Sale - up to 75% off! 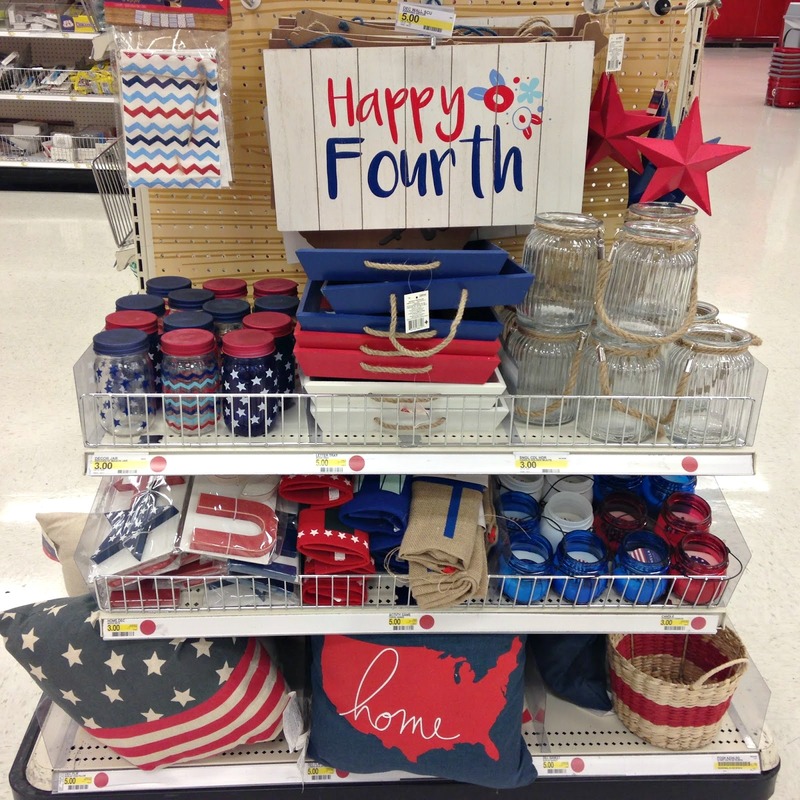 NEW Target Dollar Spot See 25+ Store Pics! It feels like it's been a while since new items in the Target "dollar spot" popped up. This weekend my store was almost fully stocked with patriotic and nautical collections now in the bins. Hopefully you can find everything too to get your dollar spot on for the summer! What's on your favorite dollar spot item? 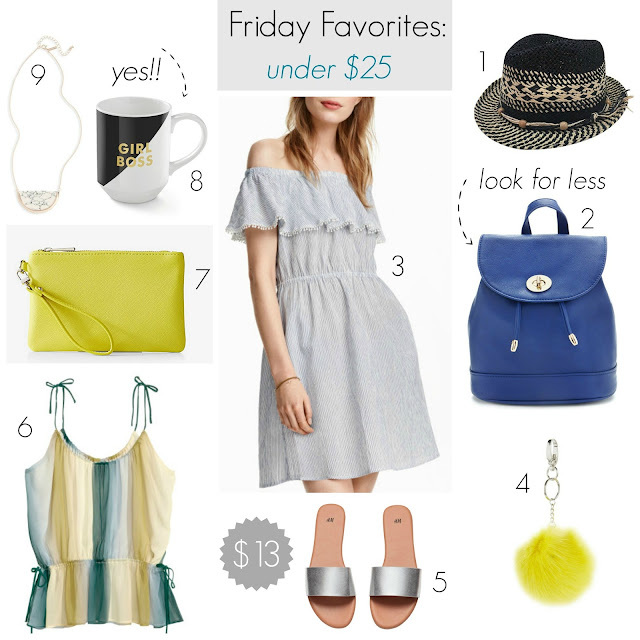 Friday Favorites under $25 + Weekend Sales! It's Friday again - yay!! We are just a week away from the big Memorial weekend sales, with Old Navy already starting their "pre-Memorial" sale and H&M adding big discounts to new arrivals. 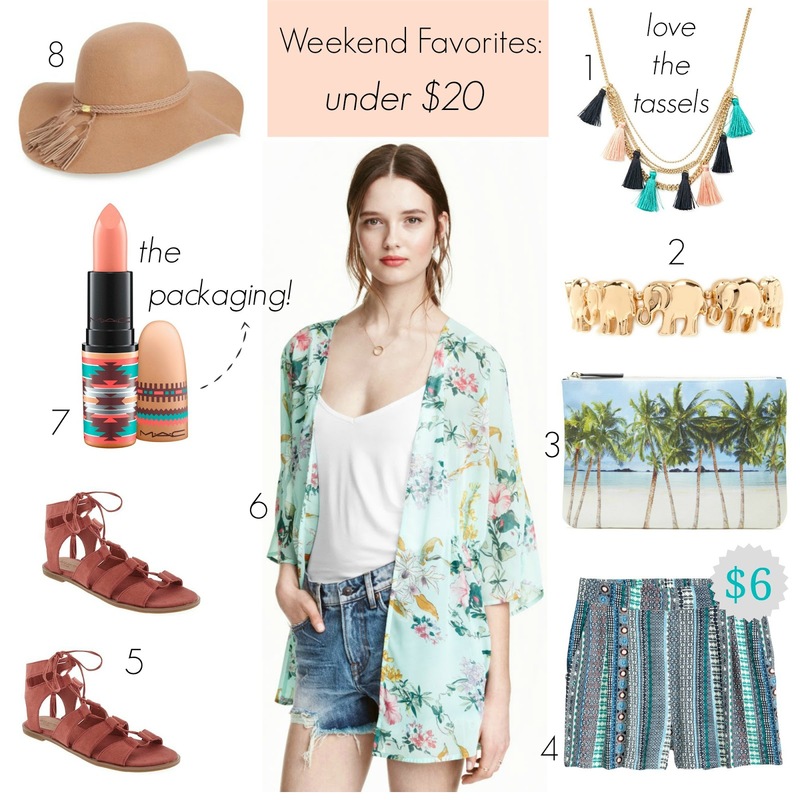 I'm craving vacation style meets warmer weather looks to get everyone ready for the holiday! Weekend Favorites under $20 + Sales! Happy Monday! It's been a hot minute since I was last at Forever 21 and I always appreciate affordable trendy accessories, easily my favorite things to find at their store. Since Memorial weekend is around the corner, sales will be everywhere with extra discounts to look forward to. In other words, if you don't #need it, try and hold out just a bit longer to save even more, unless you fear the item might sell out, then don't wait and have shopping regret. Have a great start to the week fashionistas! HomeGoods NEW See 25+ Store Pics! I could literally go to HomeGoods everyday of the week and find new arrivals lining the shelves. While I don't always leave with something (que gasp), I often put things back after taking it on a tour of the store, haha, I still enjoy browsing and sharing finds with you. I tried not to use the word "cute" to describe everything, but I'm pretty sure I failed to expand my vocabulary in this post. Now, let's go shopping! Happy Mother's Day weekend to those celebrating and hopefully it includes some shopping and brunch! While most of the "big" sales are for cardholders, Target is having a huge BOGO sale and the best part is that it includes the Who What Wear collection. I'll be stocking up on sandals since you can never have too many here in Los Angeles. Target BOGO Sale: Store Pics of NEW Sandals! I was happy to finally see new arrivals in the shoe department at Target and even more excited it happened during their BOGO sale! Since I can never choose just one pair, this is perfect for those of us shoe addicts or the indecisive. Which pair is your favorite? H&M Deals under $12.99 + FREE Shipping on ALL Orders! Happy first Monday of May! 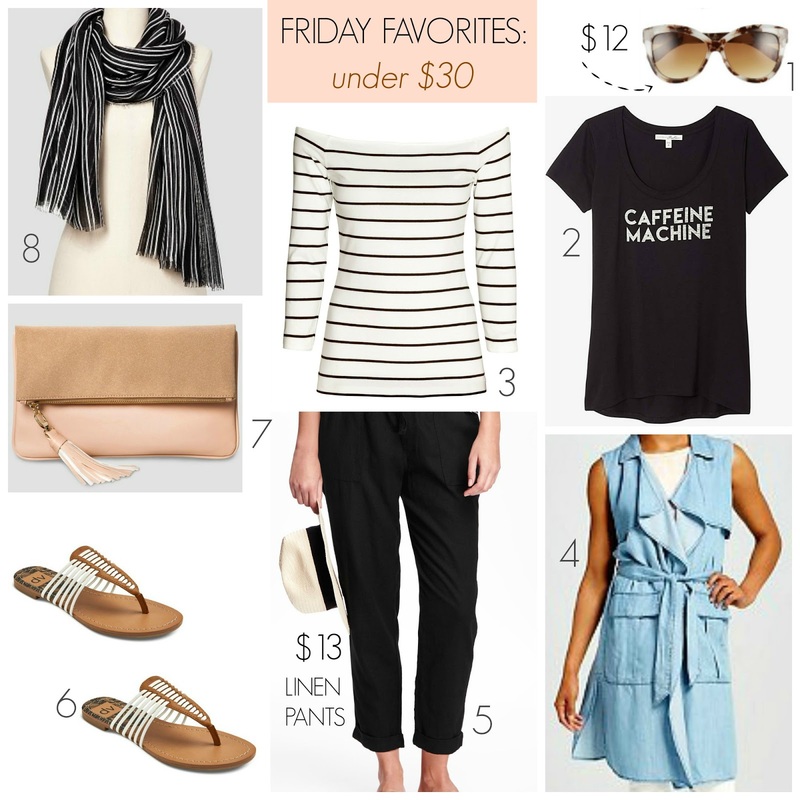 Today is a really good day to stock up on super affordable summer must-haves and take advantage of free shipping at H&M! 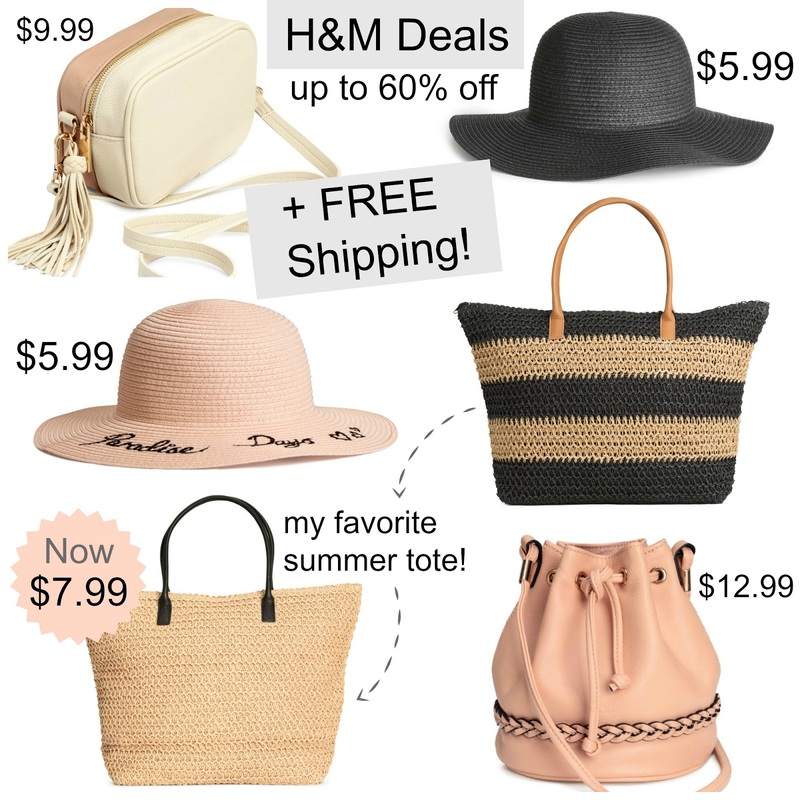 Don't wait to shop, these items will sell out fast, especially the straw totes, one of my favorite bags and a returning favorite at H&M each season!